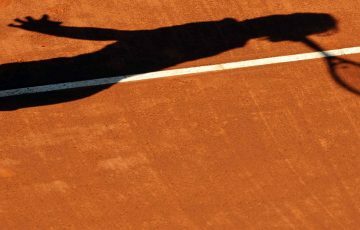 Australia’s most promising 14/u and 12/u junior tennis players have battled in out in Canberra for national claycourt titles. 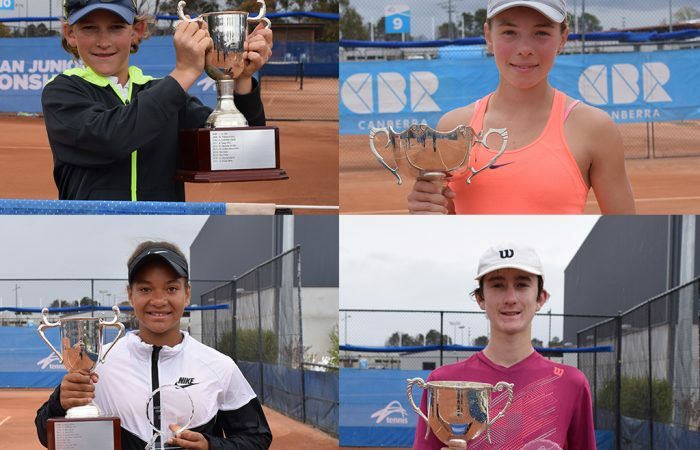 The 2018 12/u & 14/u Australian Claycourt Championships wrapped up in Canberra today after 128 of Australia’s most promising junior tennis players battled it out for a prestigious national title. Canberran Charlie Camus took out the 12/u boys’ singles title, defeating his doubles partner Pavle Marinkov (NSW) in a tough three-setter, while top seed Sarah Rokusek (NSW) claimed victory over Tianyu Dong (Qld) in the girls’ final. 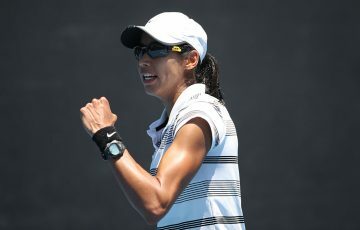 In the 14-and-under championships, Queensland’s Alec Braund (Qld) defeated Edward Winter (SA) to win the boys’ title and  Mia Repac (NSW) secured the girls’ championship over  Talia Gibson (WA). It was a big day for Charlie Camus who also won the 12/u doubles championships alongside Pavle Marinkov. 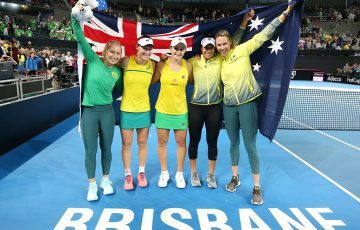 “It feels pretty good to win my first ever national title especially here in my hometown, Canberra,” Camus said. 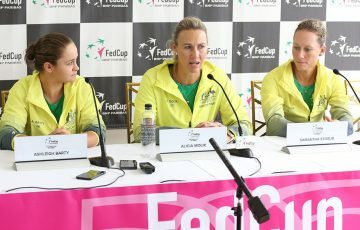 “I think I played really disciplined, kept my cool and didn’t lose my head throughout the week which helped with my results. “It’s a really good feeling to win the title, I can’t explain how I feel but it’s amazing,” 14/u girls champion Mia Repac said. In an event first, players, officials and parents participated in the #HandshakeChallenge; a new initiative launched by former South African Davis Cup player and coach, John-Laffnie de Jager. Designed to increase sportsmanship and fair play, all participants, parents and coaches are encouraged to shake hands both before and after competition. As well as shaking hands in the spirit of friendly competition before each match, parents/guardians and coaches were also invited to listen to the pre-match instructions from the chair umpire or court supervisor. 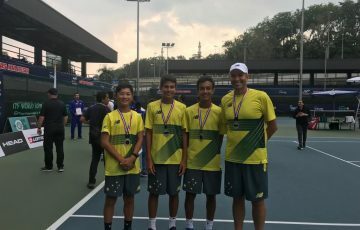 “It was great the national junior claycourt championships was the first Australian tournament to include the Handshake Challenge, and it set us up for a very successful week,” Tournament director Mark Pead said. “The concept helps ecnourage sportsmanship between parents, participants, officials and everyone involved at the event and we are proud of everyone who graciously took part in the challenge. 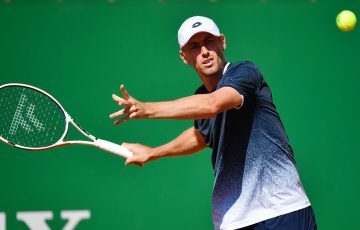 The conclusion of the Claycourt Championships rounds out a busy few weeks for tennis in Canberra which saw the nation’s capital also play host to the Canberra Junior International and the second Canberra Wheelchair Tennis Open. 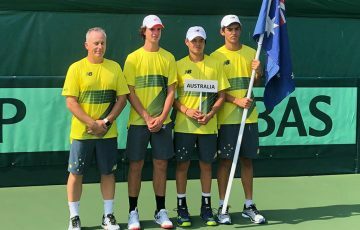 The territory will now prepare to host the Apis Canberra International when the Australian Pro Tour makes its way to Canberra for a Men’s ATP Challenger tournament and Women’s ITF Tour. Tournament draws and results can be found here.